Do Your Lyft Drivers Have Insurance? Does Your Lyft Driver Have Car Insurance? Before hopping into a ridesharing car or becoming a driver yourself, you might want to ask yourself: What happens if I get in an accident? Does Uber have me covered? Do Lyft drivers have insurance? As with many fledgling industries, peer-to-peer ride-sharing companies face an uncertain insurance landscape. Insurance coverage for ride-sharing users and drivers depends on state and local regulations. In some states, a driver’s personal auto insurance is voided when his or her car is used when transporting the public. Other states, California for example, have regulations recognizing peer-to-peer ride-sharing companies. California recently began recognizing “ride-hailing firms” as a new category of business called transportation network companies (TNC). 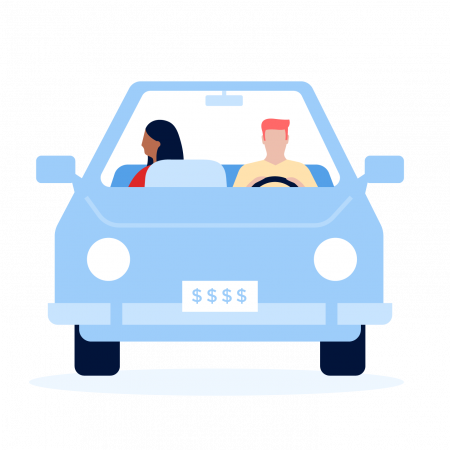 According to Bryant Walker Smith, a fellow at the Stanford’s Center for Internet and Society, the biggest issue for ride-sharing companies is not how much insurance they should have, but whether or not they can even purchase insurance. Since the ride-sharing companies face a heterogeneous regulatory environment, some companies are taking aggressive measures to influence policy by flouting laws and regulations. In addition to navigating regulatory issues, Walker also notes that insurance companies are still figuring out how exactly they can provide coverage to ride-sharing companies. Collecting accident data is just one of many steps insurance companies need to understand ride-sharing insurance. As ride sharing grows, lawmakers, insurers and ride-sharing companies will need to address issues of liability. Lyft currently offers $1 million in excess liability insurance when drivers have passengers in their cars. Questions regarding Lyft’s liability in an accident are, however, mostly unanswered.